ASABA-IN determination of its effort to develop all parts of the State, the Delta State Government has approved the construction and rehabilitation of 70 roads across the three Senatorial Districts in the state. 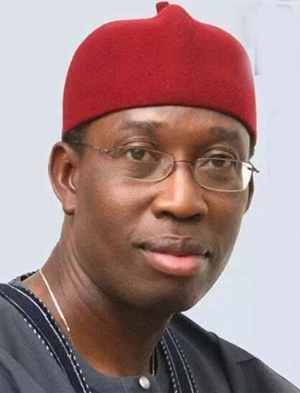 The State Commissioner for Information, Mr Patrick Ukah who disclosed this after the State Executive Council meeting presided over GovernorIfeanyi Okowa, said the State government was determined to take advantage of the dry season to build more infrastructures across the state. Ukah disclosed that the completion of the construction of Direct Labour Agency, DLA Road, Biose Amantu and Ikuku Adindu with sewage, and the rehabilitation of Vitalis Okakwu and three critical adjourning Streets that link DLA to Jesus Saves Road in the state capital territory and the construction of Cletus Achi Way/Marble Hill School Road with a spur to Holy Family Catholic Church Road, Okpanam, Oshimili North Local Government Area, were approved. According to him, the maintenance of Uti Road/U- Turn at Ugbomro, maintenance of Airport/DDPA Road, maintenance of Refinery Junction, PTI-Jakpa Roads, Effurun and the failed portions at Ekpan all in Uvwie Local Government Area, rehabilitation of Old Ovie Palace Road, construction of Atsiangbe/Okodaso Street and reconstruction of Edo Guest House Road, Ekpan in Uvwie Local Government Area also got approval. He listed other roads approved to include; Emebirhen Road, Cinema Site Roundabout, Giwa-Amu, Edah Street, Alabera Ugborikoko, Shell Contractors, Pessu Market, off Market Road and the construction of Ohrue-Esezi Road, Ometan Street to link Omare Street, Catholic Mission Road, off Eku-Abraka Road in Orerokpe, Okpe Local Government Area. Also approved are Omafuvwe Ambrose steet with spurs to Mariere, Onyia and Thomson Fregene, Franklin Bardi, Ogelue Chukwurah, Barr. Eugene Uzum and Sochima Crescent with a spur to Ikechukwu Morka, Pa Frederick, Lower Sam Dietake, Henry Edozie, Noble Academy, Mokogwu, Phillip Close, Olele and St. Andrew Anglican Church Streets, Asaba. According to Ukah, the construction of Aladja Market Road, Aladja in Udu Local Government Area, Tutu Lane/Obodokwu in Sapele Local Government Area and Ralph Uwechue Way, Lady Ginika Monye, Prince Ikechukwu Iyeke Way and Ejiro Adegor Street in Oshimili North Local Government Area were equally approved. The funding and construction of 5 km network of 13 paved roads using HFP concrete stones in Warri also got the nod of the EXCO, naming the streets to include; Ekuremu, Eruaye, Obodo, Akporume, Ighogbadu, Yosi, Metsarun, Arudjove and Eyela all off Okumagba layout. Others are Arimio Close, Four Square Road, Omabgemi Street all in Ekurede Itsekiri, Warri, and Health Centre Road with a spur to Godwin Eyione Street, Ugwuwangwe amongst others.